Fore! Heads up everyone! 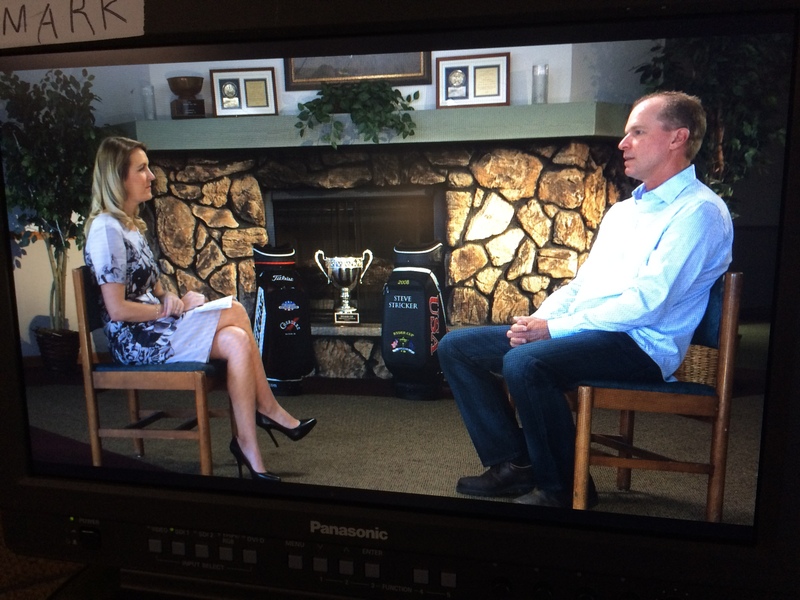 I got in touch with the golfer in me during a three-camera sit-down interview for Sports Illustrated with long time professional golfer, Steve Stricker. The interview was for Golf Live on Golf.com about Stricker’s golf successes with 12 PGA Tour victories, five Presidents Cups, and his previous Ryder Cup competitions. We shot this interview in 4K on two Sony F55 with 30-105mm Canon Cine Zoom lenses. The shots looked awesome with the deep backgrounds we were able to take advantage of at our location. We also had a Canon C300 as the wide angle shot. We hung Kino Divas from the ceiling panels to key light the subjects and backlit them with LitePanels. 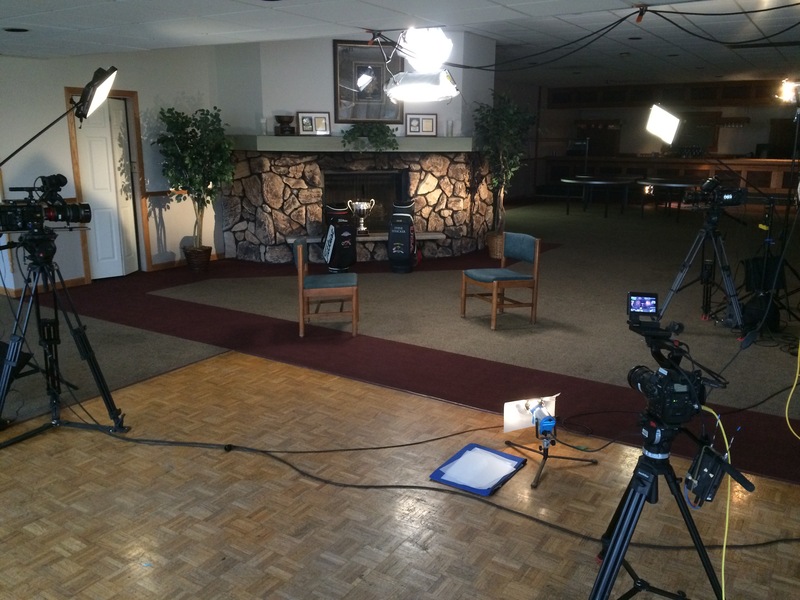 Our interview location was in a large room, so our challenge was figuring out how to light it. I ended up using every light in my truck to light the subjects and the backgrounds on all three shots. The results came out great and I had just enough light for the backgrounds of the ISO shots to give them some life!